Type the ISBNs from your books into the form. FREE shipping with our prepaid label. Check or PayPal payment upon receipt of books. What is an ISBN? A 10 or 13 digit number that can be found on the back cover or inside the front cover of almost all books. Sell books by entering the ISBN with or without the dashes, and don't leave off the leading zeros. 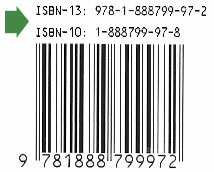 Sometimes an ISBN can end with an X. CASH4BOOKS® will accept either the 10-digit or the 13-digit ISBN. "Easy, no hassle experience! The quickest way to sell textbooks!" "I recommend them to anyone selling textbooks. Fair prices. FREE shipping!" Why Sell Books To Us? Do you need a quick, easy, safe, and convenient way to sell used books and college textbooks for cash? Three easy steps. Get a price quote, ship your books, and collect your cash! FREE shipping (US Post Office or FedEx, depending on how much you sell). Print our pre-paid label right from your computer at home. Payment issued within 13 days on average (from the day you mail the books). It can be faster; this depends if you live on the West Coast, and whether you use FedEx. Outstanding customer service. Our customers have given us a five star rating on trustpilot.com. Payment via PayPal or check. We pay the PayPal fees, so that you get the full amount of cash! Get our FREE barcode scanner smartphone app! Scan those ISBN barcodes instead of typing them! Enter your number and receive a text message with a link to download our Android or iPhone app. Or, click here for more info.